MAD COW OR MAD HUMAN DISEASE ? 1)wow who is this man he makes sense. GUESS WHAT i think hes just informed. i cant wait for mass selling and industilization is finally over. 2)Why your goverment USA force to Korea to buy MAD COW FROM USA ? Korea was forced to submit finally.. but I think this is an appalling crime. I know of no comparable case in the world. 3)Cool... Watch the "Michael Pollan: The omnivore's next dilemma" video on TED's website. This knowledge should be spread. 4)I love this man, he know's his verbage and can present himself professionally. It is mad human Disease. You show them farmers! 5)I wouldn't criticize anyone on their actions when presenting themselfs against a disease like this, calmly and professionaly you must be to take on such scruiteny. That is a very excellent observation great comment. 6)Great Video Rasala prabhu. Please post more of your realizations on Cow Protection and natural agricultural practices. Hare Krishna!!! Jaya Prabhupada!!! Why should we support these murderers,false gurus? They will NEVER starve themselves to death! But they starve Krishna's cows to death.Residents of hell. False gurus in Iskcon starve Krishna's cows to death.I'm going to gather an army of monkeys to dethrone the false gurus in Iskcon.I will need a lot of bananas to bribe all these monkeys and teach them to be patient when the false gurus and their followers call them ritviks. Yes,ritviks of Hanuman.By the way,a false guru and his so-called disciples go to rob a bank and when the police comes to arrest them,all of them start shouting angrily at the police:you are ritviks,you are ritviks,you are very offensive to our spiritual master,you are blasphemers and very dangerous. And then the police will say: yes,we are ritviks of the government. And when a false guru is ready to leave his body and the yamadutas come to take him to Yamaraja,the false guru starts screaming:you are ritviks,you are ritviks,I'm a false spiritual master,you are very offensive,you are blasphemers and very dangerous and the proof is that you are terribly ugly.Who allowed you to enter my room? Doctors,so-called disciples,please come right away and throw out these ritviks. And then the yamadutas will say: yes,we are ritviks of Yamaraja. Prabhupada: SO THEY MAY KILL ME ALSO. Note: Srila Prabhupada was aware of the plot to kill him in 1976. So the question is WHO is "they"? Prabhupada: This is our position. Gradually they will show Hare Krsna movement. In India also, although India's... They will want to crush downthis movement. So this will be up to Him. Krsna or Krsna's movement, the same thing. And Krsna was attempted to be killed by Kamsa class of men and his company, the demons. So it will be there; it is already there. Don't be disappointed, because that is the meaning that it is successful. Krsna's favor is there, because Krsna and Krsna's movement is not different, nondiff..., identical. So as Krsna was attempted to be killed, many, many years before He appeared... At eighth child, if the mother produces child yearly, still ten years, eight years before His birth, the mother was to be attempted to be killed. So there may be attempt like that. And Lord Jesus Christ was killed. SO THEY MAY KILL ME ALSO. Abhirama: So I went to see the astrologer with Yasodanandana Swami, and he did more calculations on your chart. Prabhupada: You can get on light. Otherwise why does he say BETTER KILL ME HERE. Bhavananda: Therefore we asked you yesterday for your guidance. Note: It is a particularly astounding statement to be made at the time when Srila Prabhupada KNEW he was going to pass away soon. Marica was under the order of Ravana to kill Rama (which he knew he was not capable of). Ravana would kill Marica; If he failed to accomplish Ravana's order. So either way Marica knew he was going to be killed. (By being killed by Rama Marica would be fortunate as it opened the door of liberation). Ravana; and if he goes to be killed by Rama, then it is better. Tamala Krsna: WHO is this Prabhupada's talking about? "they" these are VERY SELECTIVE WORDS of a CAREFUL SPEECH. They are POINTING WORDS. Translation: Someone says that I've been poisoned. IT'S POSSIBLE. in ignorance. From this it is evident HE DID HEAR THE WHISPERS OF "they" WHO WERE POISONING HIM. Srila Prabhupada was FULLY CONSCIOUS of ALL that was going on. He could hear EVERYTHING. have NOT heard. BUT he DID HEAR-therefore "BUT IT IS SAID". Who " they" are he does not wish to disclose DIRECTLY. Srila Prabhupada's clear instructions are that he, Srila Prabhupada is the Guru of ISKCON. This ORDER was NEVER REVOKED by Srila Prabhupada. THIS signalled warrant for his kill! Srila Prabhupada did not compromise: HE WAS** THE** GURU OF ISKCON. 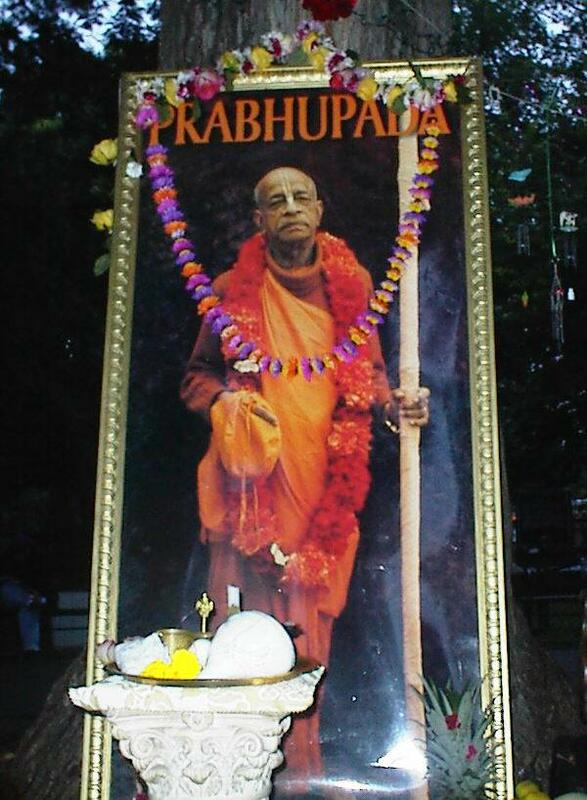 This was unacceptable to "they" (Srila Prabhupada murderers). find out. So in the beginning it was HIDDEN from the majority of devotees. 1) "they" have free servants/slaves(disciples). 2) "they" have the satisfaction of worship of themselves replacing Srila Prabhupada as the Initiator. their own lusty desires. Free income from servant/slave(disciple). 4) "they" OWN properties, usurp temples. 6) "they" prevent Srila Prabhupada's ORIGINAL BOOKS from printing/ distributing in LARGE quantities. Krsna's statement in the Bhagavad-gita (4.2) evam parampara-praptam, "This supreme science of God is received through the disciplic succession." Instead, to mislead the people in general they themselves become so-called acaryas, but they do not even follow the principles of the acaryas. propagandists shall be thrown into the darkest regions of hell (Bg.16.19-20). Question: Just HOW MUCH poison was given IN THE NAME of MEDICINE or MIXED WITH medicine? Bhakti-caru: Pressure is good. When Dr. Ghosh came, that other Dr. Ghosh came... (Hindi) ...pressure, 180 and 80. (Hindi) He's saying that in this condition, Prabhupada can't take makara-dhvaja. THAT ANY MEDICINE THAT CONTAINS MERCURY AND ARSENIC IS POISON TO HIM. Bhavananda: That's what Prabhupada said. Tamala Krsna: We certainly have... We might as well try. We've tried everyone else. Tamala Krsna: So let us try. Prabhupada: ...taking poison. The body is already finished. Tamala Krsna: HE SAID, "IF YOU THINK I'M TAKING POISON, that the body is already finished." Prabhupada: So dead body, you take poison or ambrosia, it is the same. Blind man, night or day--the same thing. Rather, if you depend on miracle, pray to Krsna that "He may survive. Tamal Krsna KNEW that ARSENIC was POISON. HOW MUCH QUANTITY did he ADD to the medicine? very small, but... Just like you take one grain of, what is called, poison? Snake poison? Arsenic? Poison called? What is called? Yes, venom poison. Tamala Krsna: ARSENIC IS POISON. WHY is it RELEVANT to bring in the “KILL” by either side? Especially at THIS TIME when Prabhupada KNEW he was going to pass away. RAMA. EH? That Marica--if he does not go to mislead Sita, he'll be killed by Ravana; and if he goes to be killed by Rama, then it is better. Prabhupada: No. (break) (Hindi) Tamala Krsna? Prabhupada: Give facility for him, ten rupees. fruits. I can give him now? Tamala Krsna: WHAT DID PRABHUPADA SAY? Note: TKG wanted to KNOW if Srila Prabhupada had told them ABOUT HIS POISONING - because PERHAPS ***THIS** was the ONLY chance Srila Prabhupada had to inform OUTSIDE WORLD . AND he was speaking in HINDI so this "FRIENDS" will not hear it. and put to death. WHY say this UNLESS IT IS HAPPENING!!! Devotee: SOMEONE GAVE HIM POISON HERE. Tamala Krsna: PRABHUPADA WAS THINKING THAT SOMEONE HAD POISONED HIM. Tamala Krsna: I mean we have to go on some basis, Srila Prabhupada. And from the... What we can see, we can see. Whatever you ate turned into stool. Now, that is a good sign. That's a good sign. If it didn't come out of its own accord, that's due to less strength. And by drinking a lot yesterday, this morning the urine becomes clear, and by taking those medicines. These are actual, factual things we can observe. One thing is, you don't feel able to sleep. That's a bad thing. And the other thing is your being so weak condition that your willpower is weakened. Your determination is weakened. So so far as those two problems go, for sleeping I know that something can be given to help you to sleep. So far willpower, if you allow us to take care of you, then I think that should be the willpower. OF COURSE, I MEAN WE'RE NOT GOING TO LET THEM DO ANYTHING BAD. I MEAN I'M NOT GOING TO LET ANYBODY TAKE YOU TO THE HOSPITAL. I WOULDN'T HAVE DONE IT IN LONDON , EXCEPT THAT YOU YOURSELF SAID WE SHOULD DO IT. Otherwise your instructions told to everybody, "Don't let them take me to a hospital." So we're not thinking like that. Neither I'm going to let anybody put any, take any blood specimen or any of those things. It's not required. These things which they're giving you are not... The only harmful effect is that you cannot sleep. But that can be given. To help you sleep can be helped. Otherwise this kaviraja's medicine, it may be less agitating to take, but does it actually work? Now for nearly half a day you have drank only one time a little bit. But you want us to take care of you and help you, then I think you should accept these... I mean they're very reasonable arguments. Note: Hospital means Poison SYMPTOMS would SHOW. Tamala Krsna: I said supposing someone threatens us with our life, that "We will kill you if you don't let us take your Guru Maharaja to the hospital," still, we will not let them take you. Your order is our business to follow, even at the risk of our life. SO WE ARE NOT GOING TO TAKE YOU TO THE HOSPITAL UNDER ANY CONDITION. Neither... Not only is it your order, but we also see absolutely no benefit from these hospitals. Your order is sufficient, but apart from that, also, from our own limited intelligence, we also see that the hospitals are condemned. These doctors are blind, these allopathic doctors. The ACARYA of the GREAT institution does NOT make frivolous comments like a mundaner. His instructions are GUIDANCE for humanity. Prabhupada: No, I'll guide. Don't move me to the hospital. If one is AT ALL SERIOUS in knowing the TRUTH then the least they have to go thru all this PLUS the CDs whispers. Tamal Krishna Goswami's voice is CLEAR "poison is going down"
EVEN the most uneducated person who is SINCERE will accept WHERE is the POISON going down - they have made Srila Prabhupada DRINK IT and it is GOING DOWN his throat. There were few voices captured. 1) Tamal Krishna Goswami 2) Bhavananda who was there when he RESPONDED: HUH. There was one voice INDIAN who mentioned poison in the background. 3) There was a voice that said Jaya it could be Jaypataka or Jayadwaita or BOTH. 4) there was a voice that said "Aksayananda". A point to note : Jayapataka was always in the company of Tamala Krishna Goswami and Bhavananda. AND if TKG was involved we KNOW Bhavananda gave himself away THEN Jayapataka MUST be there. no? MOTIVE is there. Now, we must take to agricultural work--produce food and give protection to the cows. Srila Prabhupada: Now, we must take to agricultural work--produce food and give protection to the cows. And if we produce a surplus, we can trade. It is a simple thing that we must do. Our people should live peacefully in farming villages, produce grain and fruit and vegetables, protect the cows, and work hard. And if there is a surplus, we can start restaurants. Krsna conscious people will never be losers by following the instructions of Krsna. They will live comfortably, without any material want, and tyaktva deham punar janma naiti (Bhagavad-gita 4.9): After leaving this body they will go directly to God. This is our way of life. So open restaurants in any part of any city and make nice kacauris, srikhanda, puris, halava, and so many other delicacies. And people will purchase them. They will come and sit down. I have given the format: "Every preparation is ready--you can sit down. This is our standard charge for a meal. Now, as much as you like you take. You can take one helping or two, three, four--as much as you like. But don't waste. Don't waste." Suppose one man eats a single savory and another man eats four savories. That does not mean we shall charge more. Same charge. Same charge. "You can sit down, eat to your heart's content, and be satisfied." Let everyone be satisfied. "We will supply. Simply don't waste." This is our program. Not that each time--just as the hotel does--each time a plate is brought, immediately a bill. No. "You can sit down and eat to your satisfaction. The charge stays the same." Just see. And they are called civilized. Less than lowest animal, naradhama. They are called naradhama, lowest of the mankind. Those who are killing cows, maintaining slaughterhouse, they are lowest of the mankind. These rascals, the scientists, they do not know that milk is nothing but transformation of the blood. That everyone knows. So if you want to... That is nature's way, by God's will, that a cow gives forty pounds, fifty pounds milk daily, but it does not drink. Although it is her milk, no, it gives you, human society: "You take. But don't kill me. Let me live. I am eating only grass." Just see. And the civilized men killing them, killing them. And they want peace. Just see the fun. Without touching your foodstuff, the cow is eating the grass which is given by God, immense grass, and they are giving you the finest foodstuff, milk. Just after your birth you have only to drink milk, either mother's milk... Nowadays, mothers do not supply milk. That is also to be supplied by the cow. So from the very beginning of my life I am subsisting by the foodstuff given by mother, cow, and when I am grown up, I kill. This is my gratitude. Just see. And they are called civilized. Less than lowest animal, naradhama. They are called naradhama, lowest of the mankind. Those who are killing cows, maintaining slaughterhouse, they are lowest of the mankind. They are not human being. Less than animal. They have no gratitude. So the idea is that there is no food problem. As the mother earth said to King Prthu that "I am restricting," so the more you become sinful, the food supply will be stopped. This is the law of nature. At the end there will be no foodgrains, at the end of Kali-yuga. That is stated in the Srimad-Bhagavatam. There will be no foodgrain, no fruits, no milk, no sugar. You have to live on flesh and blood. At that time, being hungry, you will kill your own children and eat flesh and blood. That day is waiting. So this is the civilization. Most heinous civilization. It can only be saved by spreading this Krsna consciousness movement. Otherwise there is no way. PRABHUPADA:RARE FILM:W/ GEORGE HARRISON:KRSNA HAS DESCENDED! The ultimate cause is the Supreme Personality of Godhead, and only those in ignorance try to find out other causes by posing different theories. evam--thus; niruktam--falsely described; ksiti-sabda--of the word "earth"; vrttam--the existence; asat--not real; nidhanat--from the dissolution; parama-anavah--atomic particles; ye--all of which; avidyaya--because of less intelligence; manasa--in the mind; kalpitah--imagined; te--they; yesam--of which; samuhena--by the aggregate; krtah--made; visesah--the particulars. One may say that varieties arise from the planet earth itself. However, although the universe may temporarily appear to be the truth, it ultimately has no real existence. The earth was originally created by a combination of atomic particles, but these particles are impermanent. Actually the atom is not the cause of the universe, although some philosophers think so. It is not a fact that the varieties found in this material world simply result from atomic juxtaposition or combination. Those who follow the atomic theory think that the protons and electrons of atoms combine in such a way as to bring all material existence into being. However, the scientists fail to discover the cause of atomic existence itself. Under these circumstances, we cannot accept that the atom is the cause of the universe. Such theories are advanced by unintelligent people. According to real intelligence, the real cause of the cosmic manifestation is the Supreme Lord. Janmady asya yatah: He is the original cause of all creation. As stated in Bhagavad-gita (10.8): aham sarvasya prabhavo mattah sarvam pravartate. Krsna is the original cause. Sarva-karana-karanam: He is the cause of all causes. Krsna is the cause of atoms, the material energy. O mother cow, as long as I am living as the ruler and subduer of all envious men, there is no cause for you to cry. ma--do not; saurabheya--O son of Surabhi; atra--in my kingdom; sucah--lamentation; vyetu--let there be; te--your; vrsalat--by the sudra; bhayam--cause of fear; ma--do not; rodih--cry; amba--mother cow; bhadram--all good; te--unto you; khalanam--of the envious; mayi--while I am living; sastari--the ruler or subduer. O son of Surabhi, you need lament no longer now. There is no need to fear this low-class sudra. And, O mother cow, as long as I am living as the ruler and subduer of all envious men, there is no cause for you to cry. Everything will be good for you. Protection of bulls and cows and all other animals can be possible only when there is a state ruled by an executive head like Maharaja Pariksit. Maharaja Pariksit addresses the cow as mother, for he is a cultured, twice-born, ksatriya king. Surabhi is the name of the cows which exist in the spiritual planets and are especially reared by Lord Sri Krsna Himself. As men are made after the form and features of the Supreme Lord, so also the cows are made after the form and features of the surabhi cows in the spiritual kingdom. In the material world the human society gives all protection to the human being, but there is no law to protect the descendants of Surabhi, who can give all protection to men by supplying the miracle food, milk. But Maharaja Pariksit and the Pandavas were fully conscious of the importance of the cow and bull, and they were prepared to punish the cow-killer with all chastisement, including death. There has sometimes been agitation for the protection of the cow, but for want of pious executive heads and suitable laws, the cow and the bull are not given protection. The human society should recognize the importance of the cow and the bull and thus give all protection to these important animals, following in the footsteps of Maharaja Pariksit. For protecting the cows and brahminical culture, the Lord, who is very kind to the cow and the brahmanas (go-brahmana-hitaya), will be pleased with us and will bestow upon us real peace. The world can be destroyed only by the will of the Lord and not by the whims of tiny politicians. praja--the people in general; upadravam--disturbance; alaksya--having seen it; loka--the planets; vyatikaram--destruction; ca--also; tam--that; matam ca--and the opinion; vasudevasya--of Vasudeva, Sri Krsna; sanjahara--retracted; arjunah--Arjuna; dvayam--both the weapons. Thus seeing the disturbance of the general populace and the imminent destruction of the planets, Arjuna at once retracted both brahmastra weapons, as Lord Sri Krsna desired. The theory that the modern atomic bomb explosions can annihilate the world is childish imagination.First of all, the atomic energy is not powerful enough to destroy the world. And secondly, ultimately it all rests on the supreme will of the Supreme Lord because without His will or sanction nothing can be built up or destroyed. It is foolish also to think that natural laws are ultimately powerful. Material nature's law works under the direction of the Lord, as confirmed in the Bhagavad-gita. The Lord says there that natural laws work under His supervision. The world can be destroyed only by the will of the Lord and not by the whims of tiny politicians. Lord Sri Krsna desired that the weapons released by both Drauni and Arjuna be withdrawn, and it was carried out by Arjuna at once. Similarly, there are many agents of the all-powerful Lord, and by His will only can one execute what He desires. yarhi--whenever; ambuja-aksa--O lotus-eyed one; apasasara--You go away; bho--oh; bhavan--Yourself; kurun--the descendants of King Kuru; madhun--the inhabitants of Mathura (Vrajabhumi); va--either; atha--therefore; suhrt-didrksaya--for meeting them; tatra--at that time; abda-koti--millions of years; pratimah--like; ksanah--moments; bhavet--becomes; ravim--the sun; vina--without; aksnoh--of the eyes; iva--like that; nah--ours; tava--Your; acyuta--O infallible one. O lotus-eyed Lord, whenever You go away to Mathura, Vrndavana or Hastinapura to meet Your friends and relatives, every moment of Your absence seems like a million years. O infallible one, at that time our eyes become useless, as if bereft of sun. We are all proud of our material senses for making experiments to determine the existence of God. But we forget that our senses are not absolute by themselves. They can only act under certain conditions. For example, our eyes. As long as the sunshine is there, our eyes are useful to a certain extent. But in the absence of sunshine, the eyes are useless. Lord Sri Krsna, being the primeval Lord, the Supreme Truth, is compared to the sun. Without Him all our knowledge is either false or partial. The opposite of the sun is the darkness, and similarly the opposite of Krsna is maya, or illusion. The devotees of the Lord can see everything in true perspective due to the light disseminated by Lord Krsna. By the grace of the Lord the pure devotee cannot be in the darkness of ignorance. Therefore, it is necessary that we must always be in the sight of Lord Krsna so that we can see both ourselves and the Lord with His different energies. As we cannot see anything in the absence of the sun, so also we cannot see anything including our own self, without the factual presence of the Lord. Without Him all our knowledge is covered by illusion. pandu--the late father of Maharaja Yudhisthira and his brothers; putran--the sons of; upasinan--sitting silently nearby; prasraya--being overtaken; prema--in feelings of love; sangatan--having gathered; abhyacasta--congratulated; anuraga--feelingly; asraih--by tears of ecstasy; andhibhutena--overwhelmed; caksusa--with his eyes. The sons of Maharaja Pandu were sitting silently nearby, overtaken with affection for their dying grandfather. Seeing this, Bhismadeva congratulated them with feeling. There were tears of ecstasy in his eyes, for he was overwhelmed by love and affection. When Maharaja Pandu died, his sons were all small children, and naturally they were brought up under the affection of elderly members of the royal family, specifically by Bhismadeva. Later on, when the Pandavas were grown up, they were cheated by cunning Duryodhana and company, and Bhismadeva, although he knew that the Pandavas were innocent and were unnecessarily put into trouble, could not take the side of the Pandavas for political reasons. At the last stage of his life, when Bhismadeva saw his most exalted grandsons, headed by Maharaja Yudhisthira, sitting very gently at his side, the great warrior-grandfather could not check his loving tears, which were automatically flowing from his eyes.He remembered the great tribulations suffered by his most pious grandsons. Certainly he was the most satisfied man because of Yudhisthira's being enthroned in place of Duryodhana, and thus he began to congratulate them.